Vermilion Software was established in 2003 and is a cost effective reporting solution, which is driven by business benefits and not functionality. Today it’s a market leader with a strong reputation based on over fifty successful implementations in Europe, USA and Asia. Today Vermilion operates from offices based in London, Boston, Singapore and Sydney. 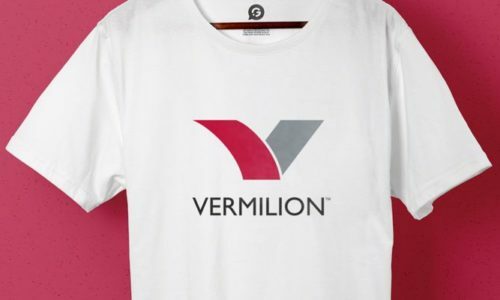 The team at Vermilion was entering into the JP Morgan run and they wanted T-Shirts printed for their business which had a slogan and their company message on the front. They also wanted messages printed on the back and both of the sleeves displaying the company details and the logo to help increase brand awareness. As we were helping to create brand awareness, we knew that we had to choose T-Shirts that offered complete comfort during the length of the run and printing quality had to match the high standards of this global company. We opted to use colour cut out transfer printing, as this would accurately display the bold lettering and making it easier to see the company brand and message whilst they were running. As Vermilion wanted to wear red T-Shirts, we opted to use white lettering to make it really stand out, making it as easy to see as possible as they passed pedestrians and other runners at the event.